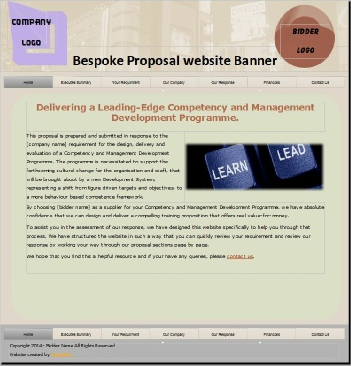 Our bid delivery approach will give you the competitive edge you need to help secure new business through the competitive tendering process.We work alongside bid teams to create a secure, customer-focussed website, the pure purpose of which is to deliver your proposal. In addition to the required proposal delivery method, as specified by your customer, you will be able to send them a link to their own response website, along with a username and password. User-friendly – People use websites on a daily basis so it will be familiar territory.